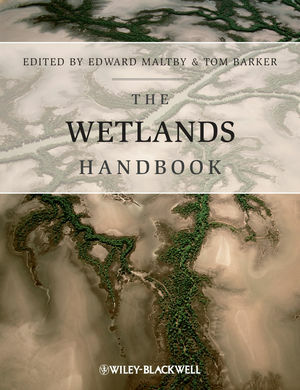 Forty-two chapters by international experts from a wide range of disciplines make The Wetlands Handbook the essential tool for those seeking comprehensive understanding of the subject. A departure from more traditional treatises, this text examines freshwater wetland ecosystem science from the fundamentals to issues of management and policy. Introductory chapters address the scope and significance of wetlands globally for communities, culture and biodiversity. Subsequent sections deal with processes underpinning wetland functioning, how wetlands work, their uses and values for humans and nature, their sensitivity to external impacts, and how they may be restored. The text is illustrated by numerous examples, emphasising functional and holistic approaches to wetland management, including case studies on the wise use and rehabilitation of wetlands in farmed, urban, industrial and other damaged environments, highlighting the long-term benefits of multiple use. The Wetlands Handbook will provide an invaluable reference for researchers, managers, policy-makers and students of wetland sciences. Edward Maltby is Professor of Wetland Science, Water and Ecosystem Management and Director of the Institute for Sustainable Water, Integrated Management and Ecosystem Research (SWIMMER) at the University of Liverpool, UK. Tom Barker is an ecologist at SWIMMER specialising in catchment relationships with ecosystems, including carbon sequestration and physico-chemical dynamics, particularly in lakes and wetlands. SECTION I WETLANDS IN THE GLOBAL ENVIRONMENT. 1 The Changing Wetland Paradigm (Edward Maltby). 2 Global Distribution, Diversity and Human Alterations of Wetland Resources (Dennis F. Whigham). 3 Biodiversity in Wetlands (Brij Gopal). 4 Peat as an Archive of Atmospheric, Climatic and Environmental Conditions (R. Kelman Wieder, Merritt R. Turetsky and Melanie A. Vile). SECTION II WETLANDS IN THE NATURAL ENVIRONMENT: HOW DO WETLANDS WORK? 5 Introduction – The Dynamics of Wetlands (Tom Barker and Edward Maltby). 6 Hydrological Dynamics I: Surface Waters, Flood and Sediment Dynamics (Chris Baker, Julian R. Thompson and Matthew Simpson). 7 Hydrological Dynamics II: Groundwater and Hydrological Connectivity (Dave J. Gilvear and Chris Bradley). 8 Hydrological Dynamics III: Hydro-ecology (Ab P. Grootjans and Rudy Van Diggelen). 9 Biogeochemical Dynamics I: Nitrogen Cycling in Wetlands (John R. White and K.R. Reddy). 10 Biogeochemical Dynamics II: Cycling and Storage of Phosphorus in Wetlands (Curtis J. Richardson and Panchabi Vaithiyanathan). 11 Biogeochemical Dynamics III: The Critical Role of Carbon in Wetlands (Nancy B. Dise). 12 Wetland Biogeochemical Cycles and their Interactions (Jos T.A. Verhoeven). 13 Ecological Dynamics I: Vegetation as Bioindicator and Dynamic Community (Bernard Clément and Michael C.F. Proctor). 14 Ecological Dynamics II: The Infl uences of Vertebrate Herbivory on Ecological Dynamics in Wetland Ecosystems (Isabel J.J. Van Den Wyngaert and Roland Bobbink). 15 Ecological Dynamics III: Decomposition in Wetlands (Scott D. Bridgham and Gary A. Lamberti). SECTION III WETLANDS IN THE HUMAN ENVIRONMENT: HOW CAN WE UTILISE THE WORK OF WETLANDS? 16 Introduction – Using Wetland Functioning (Tom Barker and Edward MaltbyI0. 17 Wetlands and Water Resources (Matthew P. McCartney and Michael C. Acreman). 18 Wetland and Floodplain Soils: Their Characteristics, Management and Future (Hadrian F. Cook, Samuel A.F. Bonnett and Leendert J. Pons). 19 The Role of Buffer Zones for Agricultural Runoff (Martin S.A. Blackwell, David V. Hogan, Gilles Pinay and Edward Maltby). 20 Wetlands for Contaminant and Wastewater Treatment (Robert H. Kadlec). SECTION IV WETLAND ASSESSMENT: HOW CAN WE MEASURE THAT WETLANDS ARE WORKING? 21 Introduction – Methodologies for Wetland Assessment (Joseph S. Larson). 22 The United States HGM (Hydrogeomorphic) Approach (Mark M. Brinson). 23 Development of a European Methodology for the Functional Assessment of Wetlands (Edward Maltby, Tom Barker and Conor Linstead). 24 Wetlands Assessment in Practice: Development and Application in the United States Regulatory Context (R. Daniel Smith). 25 Wetland Evaluation in Developing Countries (Henri Roggeri). 26 Methodologies for Economic Evaluation of Wetlands and Wetland Functioning (R. Kerry Turner, Roy Brouwer and S. Georgiou). SECTION V WETLAND DYSFUNCTIONING: WHAT HAPPENS WHEN WETLANDS DO NOT WORK? 27 Introduction – How Do Wetlands Fail? (Katherine C. Ewel). 28 Hydrological Impacts in and around Wetlands (Michael C. Acreman and Matthew P. McCartney). 29 Biotic Pressures and Their Effects on Wetland Functioning (C. Max Finlayson). 30 Human Impacts: Farming, Fire, Forestry and Fuel (Hans Joosten). SECTION VI WETLAND RESTORATION: MAKING WETLANDS WORK AGAIN. 31 Introduction – Re-establishment of Wetland Functioning (Edward Maltby). 32 Restoration of Wetland Environments: Lessons and Successes (Arnold G. van der Valk). 33 Replumbing Wetlands – Managing Water for the Restoration of Bogs and Fens (Russ P. Money, Bryan D. Wheeler, Andy J. Baird and A. Louise Heathwaitei). 34 Restoring Wetlands for Wildlife Habitat (Dieter Ramseier, Frank Klötzli, Ursula Bollens and Jörg Pfadenhauer). 35 Wetland Conditions and Requirements for Maintaining Economically Valuable Species: Waterfowl, Furbearers, Fish and Plants (Lisette C.M. Ross and Henry R. Murkin). SECTION VII SUSTAINABLE UTILISATION OF WETLANDS: BALANCING ECOSYSTEM FUNCTIONING AND HUMAN NEEDS. 36 Introduction – Sustainable Wetlands in a Global Context (Tom Barker). 37 Melaleuca Wetlands and Sustainable Development in the Mekong Delta, Vietnam (R.J. Safford, Edward Maltby, Duong Van Ni and Nick P. Branch). 38 Multiple Use of Wetlands in Eastern Africa (Reint Jacob Bakema, Geoffrey W. Howard and Adrian P. Wood). 39 Deterioration and Rehabilitation of the Lower Danube Wetlands System (Angheluta Vadineanu). 40 The Pantanal of Mato Grosso: Linking Ecological Research, Actual Use and Management for Sustainable Development (Wolfgang J. Junk, Carolina J. Da Silva, Karl Matthias Wantzen, Catia Nunes da Cunha and Flavia Nogueira). 41 Wetlands for conservation and recreation use in the Norfolk and Suffolk Broads (Tom Barker, Steve Crooks and Johan Schutten). 42 Everglades and Agriculture in South Florida (Robert H. Kadlec). 43 Conclusions: Wetlands for the Future (Edward Maltby and Tom Barker).